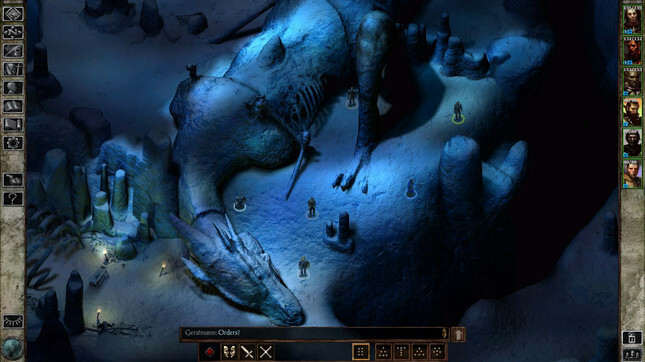 Icewind Dale: Enhanced Edition will be out for Windows, Mac, and Linux on October 30, developer Beamdog has announced. The fancied-up RPG will retail for US$20, and be available on Beamdog.net, Steam, and GoG. Releases for iOS and Android are coming soon at a price point of US$10. Originally released in 2000, Icewind Dale is a Dungeons & Dragons game set in Wizards of The Coast's legendary Forgotten Realms universe. Evil stirs beneath the Spine of the World. In the northernmost reaches of the Forgotten Realms lies the awe-inspiring Icewind Dale. Journey to the Spine of the World, a harsh and unforgiving territory settled by only the hardiest folk. Encounter the cunning and fearsome beasts that make their home among the snow-shrouded peaks. Beneath the wind-carved glaciers and mountainsides, confront the evil that schemes to wreak destruction upon the face of Faerûn. This is the world of Icewind Dale: Enhanced Edition. ◆ Swords and Sorcery: Discover dozens of new spells and items, including new magic armor and weapons. ◆ Blackguards and Wizard Slayers: Select from over 30 new kits and classes to create the perfect adventuring party. ◆ Bring A Friend: Join your fellow adventurers in cooperative, cross-platform multiplayer games. ◆ See The Unseen: Explore quest content cut from the original game, now finished and restored. ◆ More to Experience: Icewind Dale: Enhanced Edition includes both the Heart of Winter and Trials of the Luremaster expansion packs. Beamdog most recently released enchanced editions of Baldur's Gate and Baldur's Gate II.